Many different ways exist to play music--blowing across an oboe's reeds, pounding on a drum, tickling the ivories of a piano--but one of the most popular ways is to pluck or strum tuned strings. 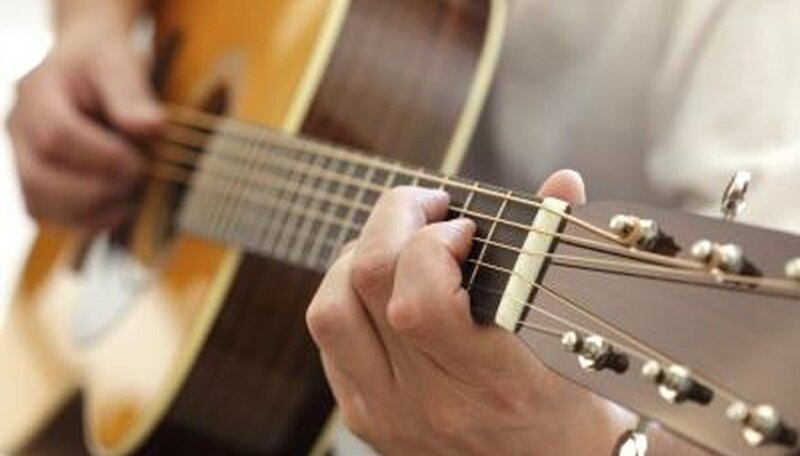 By far, the most popular stringed instrument in the world is the guitar, and its use has become widespread in nearly all forms of music, from classical to contemporary. A guitar is a musical instrument with tuned strings that are typically plucked one at a time or strummed together to form chords. The body of the guitar can be hollow or solid, and the strings are stretched from the bottom of the body along the neck of the guitar. Most guitars have six strings, although some have more, and these strings are usually made of either nylon or metal. 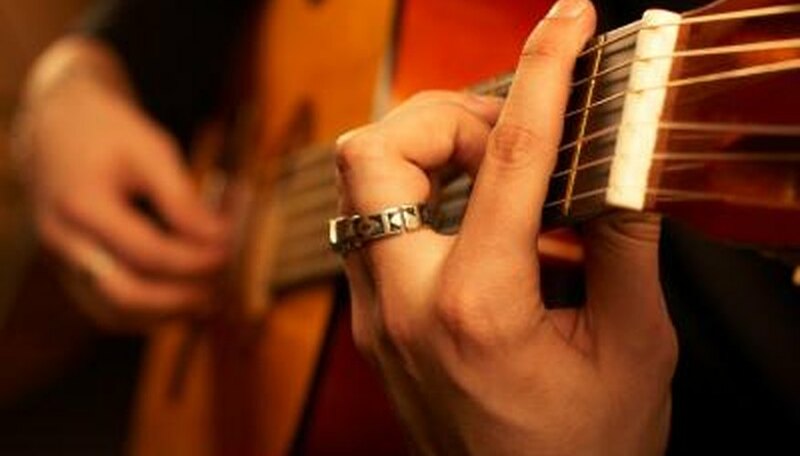 To make musical notes, the fingertips of one hand hold down strings along the neck of the guitar while the other hand strums or picks the strings at the center of the body. There are two basic types of guitars: acoustic and electric. Acoustic guitars typically have hollow bodies made of wood. The vibrations created by strumming the strings are amplified by the resonating qualities of the hollow body, which make it easier to hear. Electric guitars typically have solid bodies and use a series of electromagnetic pickups to convert the vibrations of the strings into electrical signals that can be amplified through speakers. Stringed instruments similar to guitars have been used to make music for thousands of years. Numerous cultures have developed their own version of the guitar, and they all have different names and distinct sounds, from the Indian sitar to the Arabian oud. By the time of the Middle Ages, small and easily portable stringed instruments called lutes were in widespread use across Europe. What has come to be known as the guitar has its roots in Spain in the 14th and 15th centuries. Until the early 1900s, the guitar was mainly used in Spanish music, but the instrument was embraced by jazz players such as Django Reinhardt who sought to expand its use and sound. Blues musicians such as Robert Johnson also picked up the guitar and created a uniquely American sound, which was then embraced by rock and roll musicians in the 1950s and 1960s. 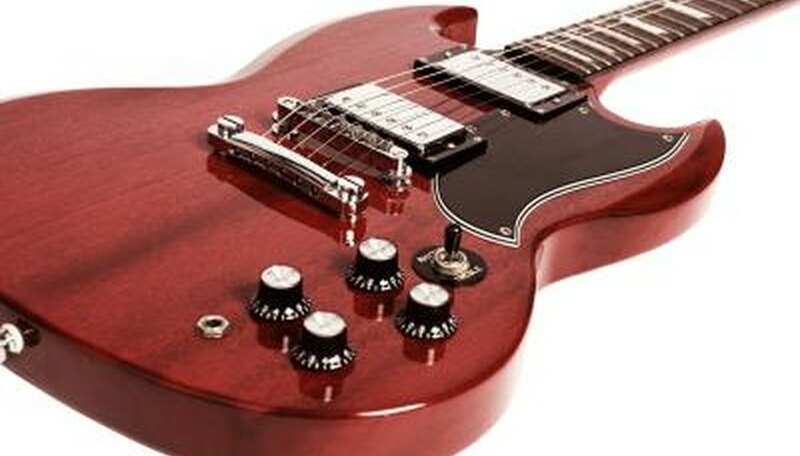 Now, the guitar is one of the most popular instruments in modern music, whether pop music, jazz, folk or alternative rock. Many guitarists contributed to the advancement of the instrument. 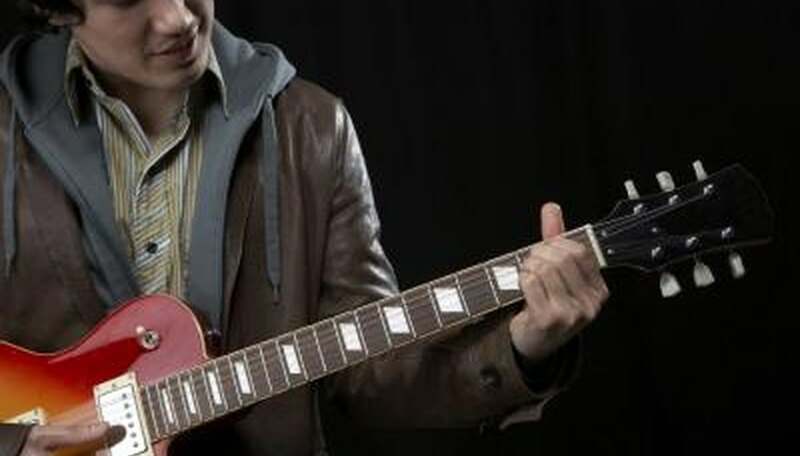 One is Les Paul, who pioneered the solid-body electric guitar in 1940 and spearheaded a new sound and technological innovations for the guitar. Blues musician B.B. King was instrumental in bringing the sound of the blues guitar to mainstream audiences and influenced a whole generation of rock and roll musicians. Eirik Ott is a professional performance poet, freelance writer, graphic designer, Apple Computer enthusiast and photographer. Since graduating from Chico State University with a degree in journalism in 2000, he has written for newspapers and magazines such as "The Reno Gazette-Journal," "The Austin American-Statesman," "Bust Magazine" and "Poets & Writers Magazine." He is based in Austin, Texas.